Quantum Plus is pleased to announce that Angela Wyatt, Managing Director, is speaking at Infoline’s 6th Annual Summit on 29th October 2014 - Outsourcing in Financial Services. The event is the only outsourcing conference designed specifically for Financial Services organisations, meaning that attendees can benefit from hearing from the cream of the financial services outsourcing advisory sector, all in one place and on one day! What’s gone wrong with G-Cloud? G-Cloud was initiated by the UK government in June 2012 to provide an online marketplace for public sector organisations to procure commodity, Cloud-based IT services, without the need to conduct lengthy OJEU (Official Journal of the European Union) tendering processes. As a secondary aim, the government wanted to open up the public sector to SMEs and to increase the proportion of IT services provided to public sector organisations by smaller companies, moving away from big monolithic contracts with the major global service providers. Read more about What’s gone wrong with G-Cloud? 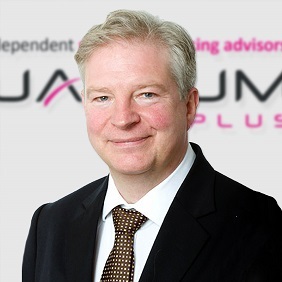 Quantum Plus is pleased to announce the appointment of Andrew De Cleyn as Director. Andrew brings to the role over 25 years’ experience in IT services, business processes and strategic sourcing solutions. He has been instrumental in the development of strategy and subsequent delivery of both demand and supply side sourcing. Is it time to revisit your sourcing models? Only those who understand their supplier costs can negotiate from a position of strength! During my day-to-day work, I have come to notice that tensions are often building between customers and their suppliers, especially in the more traditional offshore locations, but what is it that is actually causing these tensions to occur? From my experience, I know that customers are pushing hard on service levels to demand the best services at a minimal cost. They want to keep charges low, they don’t want to suffer from indexation (like so many outsourcers are), but yet still demand the crème de la crème of resources. Read more about Is it time to revisit your sourcing models? Selecting an outsourcing partner? Why not try to host the World Cup whilst you’re at it? Being a passionate football fan, I was very interested to learn about the bidding process for hosting the 2018 FIFA World Cup, especially as England was in the running. Sadly England did not win the bid, however all is not yet lost. With the recent allegations against Qatar, the 2022 bidding process could be about to start all over again. Read more about Selecting an outsourcing partner? Why not try to host the World Cup whilst you’re at it?